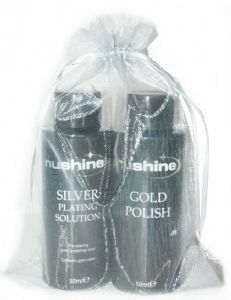 The amazing Silver Plating Solution, plates pure silver onto base metals. 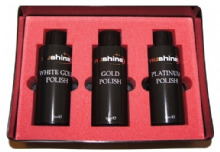 Choose any additional 50ml bottle from the range of polishes below alongside the Silver Plating Solution (50ml). The bottles will be dispatched in Silver Organza bags. *The Silver Maintenance Solution contain PURE SILVER so is a bit more expense.